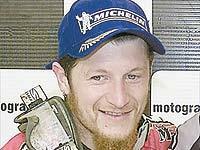 The Italian team won the 2002 Motocross des Nations at the Belpuig Circuit in Spain at the weekend. The squad of Andrea Bartolini, Alessio Chiodi and Alex Puzar, all former World Champions, easily beat the other teams, depleted by the absence of big names and non-attendance of teams from the U.K. and U.S.
" You cannot compare this to our 1999 win, " reflected Chiodi. " Although every race is a different story.
" We were the favourites before the event began because there were not so many riders here, but today I pushed at the same level as if I was racing Pichon, Everts or any of those guys. A race like this is never easy. "